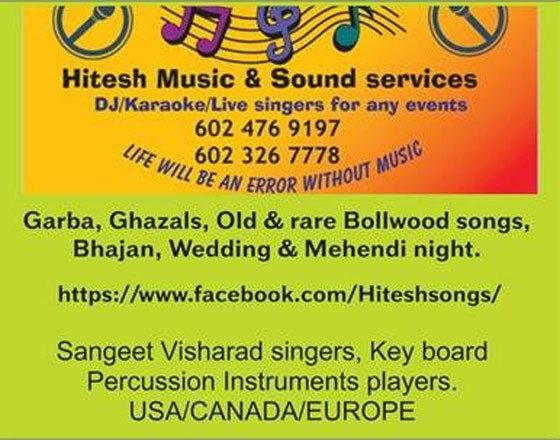 LIVE Bollywood Hindi, Gujarati, Sanskrit and Marathi singers in the valley ! ! No party is complete with just food, family and friends. 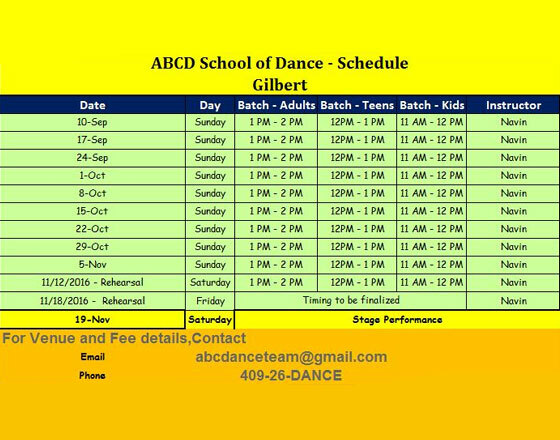 Someone has rightly said "Life will be an error without music" N..
AT GILBERT/CHANDLER - Layton Lakes On Popular Demand - ABCD school of Dance classes are now held in GILBERT. Truly Bollywood and No Dance experience needed. We teach you from the basics. All you need ..